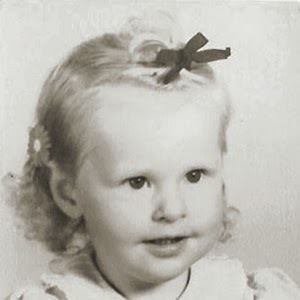 MyMemories Blog: Meet today's Daily Designer...Kathryn Estry! Meet today's Daily Designer...Kathryn Estry! I’m a wife, mother, and a Nana! Robert and I and our sweet little kitty, Amber, are living in Fort Worth near all of the kids and grandkids. My daughter, Brandi, her husband, Ryan, Lincoln (5), Charlie (18 months), and baby Lucy (3 months) are right here in Fort Worth with us, and my son and daughter-in-law, Tommy and Audra, are only an hour away in Frisco, north of Dallas with their 2, Jack (almost 5) and Olivia (2). We’re in Nana and Papa heaven! I love to draw, and I love to create. I'm a perfectionist and a neat freak, so scrapping on the computer is so much more “me” than paper scrapping. As fun as it is to play with the papers and adhesives and stamps, etc., I prefer having tons of supplies right in my hard drive and I never mess up my photos! 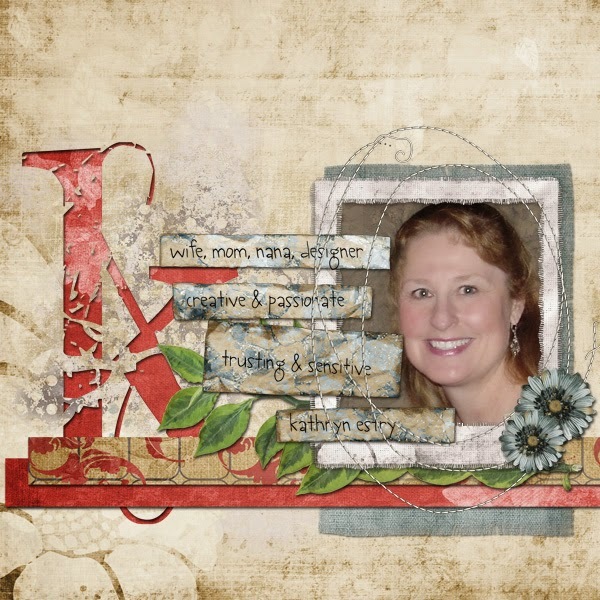 I found digital scrapbooking with PSE in 2006 and started designing right away. 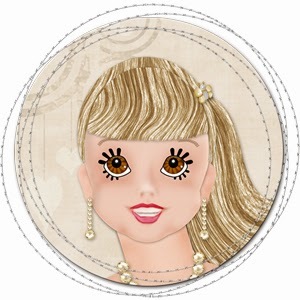 My styles range from Cute to Gorgeous ~ little characters with big eyelashes and delicate, gorgeous kits. I’m always challenging myself to get better and to branch out with new techniques. I retired from teaching just 2 years ago. I had so much fun working with the GT kids (Gifted/Talented ~ what a great job!). I loved teaching, and I so miss the kids, but I LOVE LOVE LOVE retirement! My days are totally busy and totally packed with lovin' on family, designing, scrapping, exploring other creative avenues, dancing (choreographed ballroom with my sweet Robert), singing in the church choir, learning new things, playing games, taking walks, and visiting with friends. If I could have a super power, it would be to clone myself so that I could be doing lots of the things I love at the same time. Enjoy 40% off Kathryn Estry in the MyMemories Design Shop!